The rustic look of burlap is really trendy right now and you can achieve a similar look on paper and acrylic accents by using a scarp of burlap to “stamp” the pattern with. 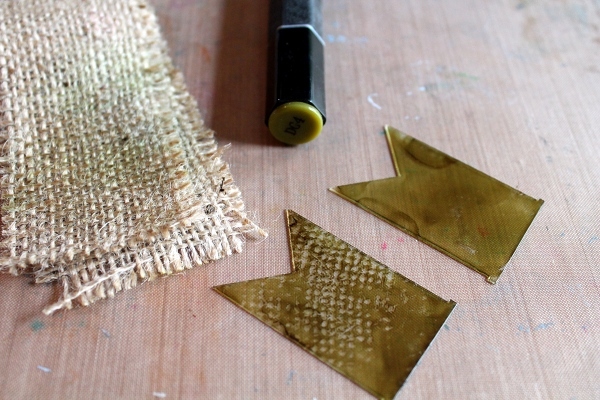 The Paper Ink and Smile blog has a tip for getting a faux burlap look using alcohol inks on clear acrylic shapes. Click here for all the details.